We have several visual artists lined up for the December 2017 show. Come and see works by Jessica Ortis, Amanda Wirig, and the American Association of Woodturners Museum of Wood Art. Amanda is an artist, musician, educator, and non-profit administrator. She utilizes pop culture and humor to address social and political issues. You can find her art in exhibitions throughout the midwest. Come see her creations during this December’s show! 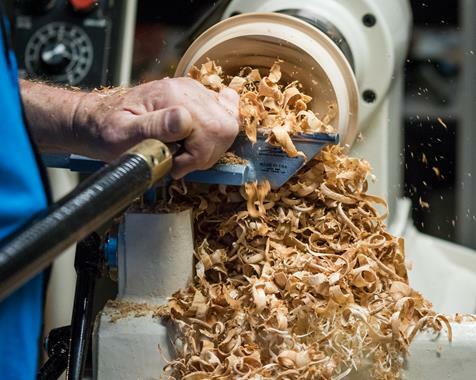 Everyone gets excited when the American Association of Woodturners comes to our shows. Watching them create is an experience in itself.